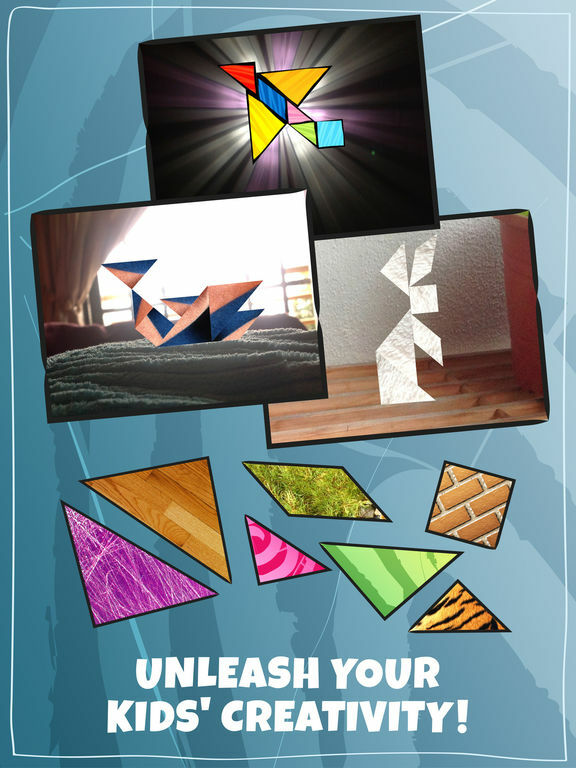 Kids Doodle & Discover combines tangram puzzles, coloring tools and a variety of interchangeable illustrations to create a full screen educational toy experience - for kids to unleash their creativity and bring out their inner artist. This edition teaches kids about sports through play, audio and visual association. 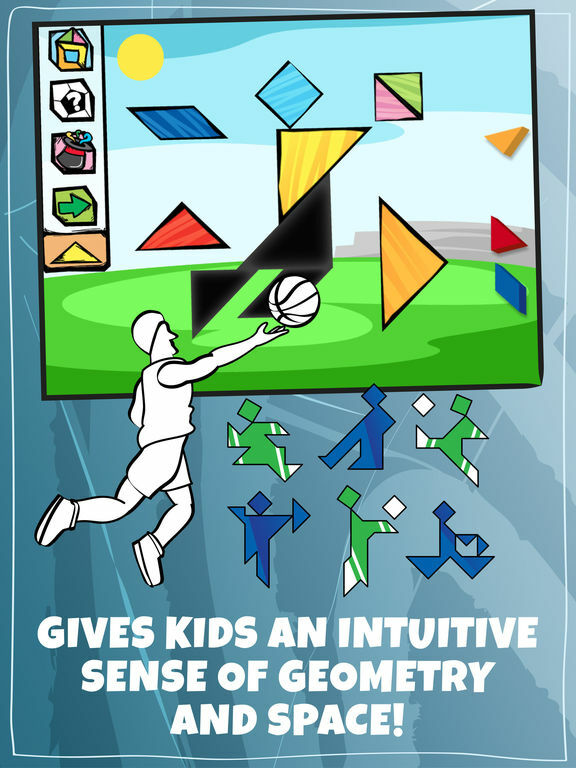 Easy to learn and yet fun to play - our tangram puzzles come with specially drawn illustrations to help kids visualize and associate. 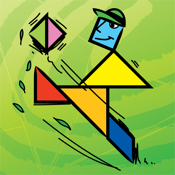 Playing tangram puzzles foster critical thinking, spatial rotation skills, and an intuitive sense of geometry in children. Teaching kids to draw and paint can be fun for the entire family. 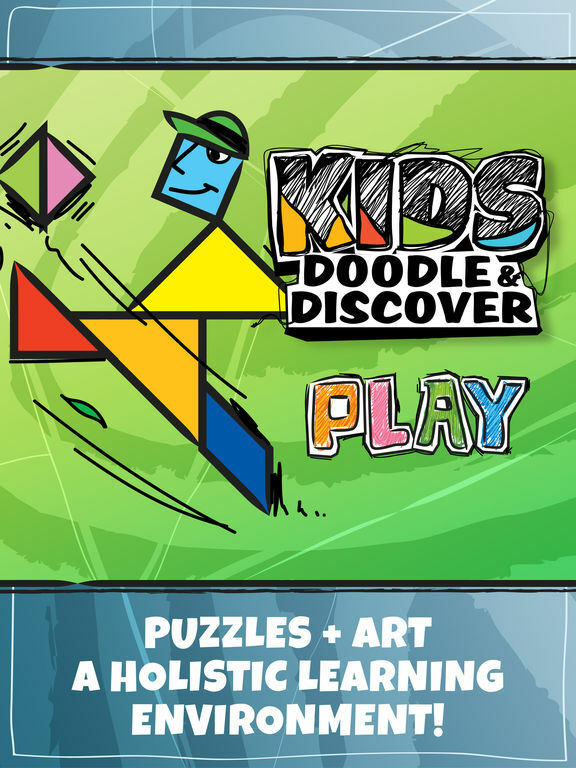 By combining puzzles with an open canvas, Kids Doodle & Discover becomes a stimulating environment for kids to represent ideas and feelings they hold deep inside their hearts with vivid colors! Our refined touch, drag and rotate controls give kids the freedom of space and time to explore in a stress free environment. 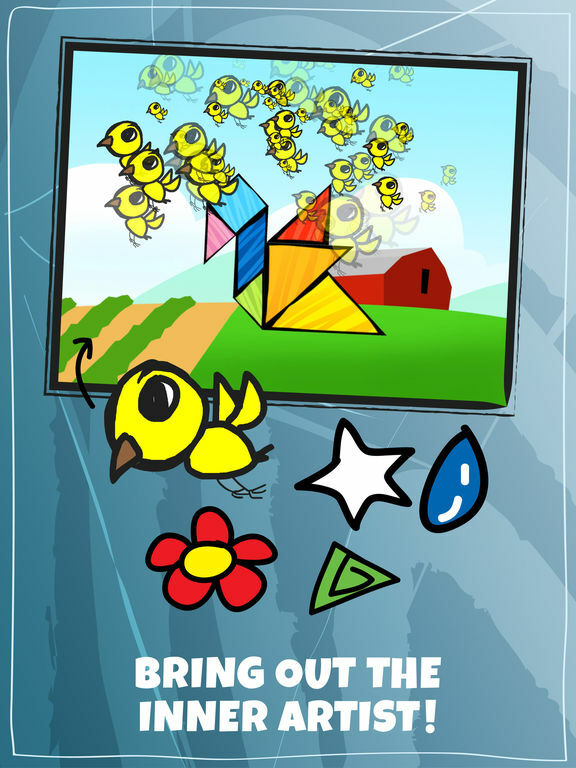 Snap-in-place puzzle pieces guide, motivate and reward kids for their efforts. Finally, coloring help kids develop fine motor skills. Designed by a team of experience illustrators and publishers, Kids Doodle & Discover offers hours of playtime for kids and families in a colorful auditory app experience. Kids Doodle & Discover contain hidden features and 4 additional creative tools & content you can unlock for one affordable lifetime in-app purchase.